In contemporary biblical studies much discussion of justification just serves as a rehashing of “old” and “new” positions. These two perspectives have dominated, but the insistence on participation in Christ/God via Schweitzer and Sanders has served as a burr under the saddle. In fact, Wright places the relationship of participation and justification as a central theme of debate over the last century. (See N.T. Wright, Paul and His Recent Interpreters, Part 1.) The roots of the debate, he says, go back to Luther’s justification-only view in contrast to Calvin’s placement of justification in the wider sphere of participation. (Wright’s categorization of Luther greatly simplifies and weakens Luther’s proposal about faith being uniting; however, later Lutheranism (through Melanchthon) could much more be open to Wright’s charge.) Pauline scholars in the Reformed tradition have repeatedly attempted to place justification within the sphere of participation; however, their claims are hindered due to their repetitive emphasis upon justification as primarily forensic, by means of imputation. (For example, see Constantine R. Campbell, Paul and Union with Christ (Grand Rapids: Zondervan, 2012), 388–405.) They, like Wright, set the debates about justification in post-Reformation terms, and therefore “status” issues are primary, whether status before God (as in traditional readings) or status within the community (as with New Perspective readings). The old and new perspectives have been challenged by those we might call participationists: E.P. Sanders, Michael Gorman, Douglas Campbell. The problem is that these participationists have not provided a thoroughgoing study of justification in Paul. 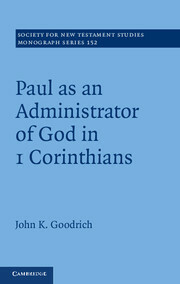 Influenced by Sanders discussion of Paul’s “participationist eschatology,” recent participationists—e.g., Michael Gorman and Douglas Campbell—have provided interesting readings of justification in Paul; however, neither provides a monograph length study of texts which substantiates a holistic reading. (Campbell, for example, has done better at critiquing other models than providing a positive reading of Paul of his own.) Accordingly, there remains a need for a theologically rich and exegetically sustained reading of justification in Paul that frames it within his wider theology of participation. After reading my post about Luther and SBL, I had a couple of friends ask about my larger book project: Participating in the Righteousness of God: Justification in Pauline Theology. 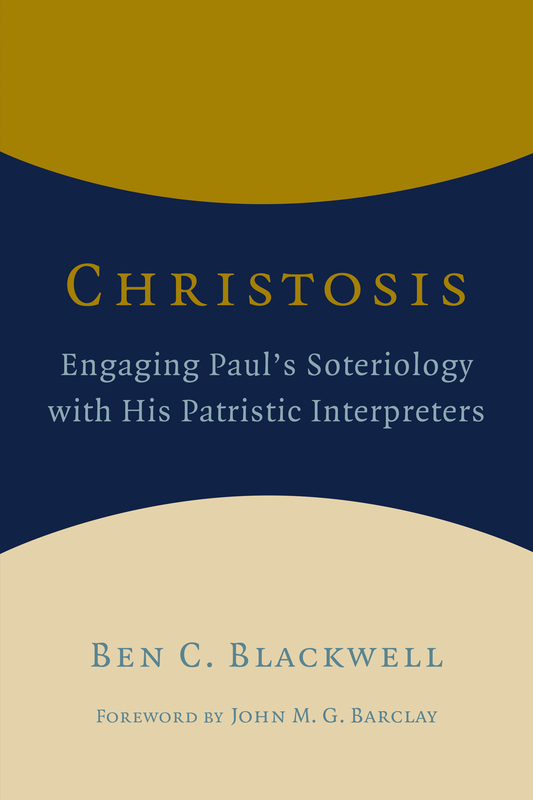 I should note that this new project is built on the foundation of my doctoral work, which is being republished by Eerdmans in about a couple of months: Christosis: Engaging Paul’s Soteriology with His Patristic Interpeters (slightly updated from the WUNT edition, but much cheaper!). In light of contemporary reassessments of justification which have arisen through ecumenical discussion as well as fresh approaches to biblical texts, this monograph creatively examines Paul’s theology of justification in relationship to the topic of participation in God. Explicitly engaging with post-Reformation and patristic concerns, I provide an exegetical analysis of Paul’s letters and argue that Paul’s view of justification ultimately entails participation in the life of God through Christ and the Spirit. 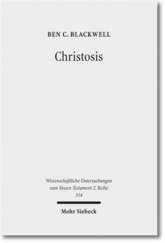 I then integrate this reading with other Pauline theological loci and demonstrate its wider relevance through patristic exegesis and the doctrine of theosis. The doctrine of justification has come under a level of scrutiny and reconsideration among systematic theologians and biblical scholars not seen since the 16th century. Arising from wide-ranging ecumenical discussions, Protestant theologians are reassessing the role and meaning of justification due to engagement with alternative soteriological frameworks—both contemporary and historical. At the same time, biblical scholars are reassessing Paul’s teaching of justification within his first century context. The New Perspective has gained much ground, shifting the focus from justification as a status before God to one’s status among the Christian community. 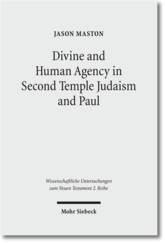 In addition, the topic of participation in God—sometimes styled as “being in Christ” or “union with Christ”—has been a repetitive theme in Pauline scholarship since the early 20th century due to the work of Albert Schweitzer and others. While the importance of the relationship of participation to Paul’s doctrine of justification is frequently affirmed, the nature of the relationship remains debated and only lightly explored. While reassessment in the theological sphere has been more robust, the academic community is therefore waiting for a sustained and compelling reading of Paul’s letters that explains this connection between participation and justification. 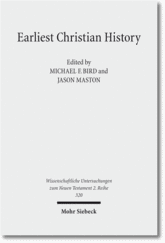 The time, then, is ripe to bring together discussions from historical theology and biblical studies to show that participatory concerns cohere with Paul’s letters themselves, and particularly with his doctrine of justification. Therefore, this monograph will provide an exegetically focused reading of Paul’s theology of justification in relation to participation themes, which at the same time fosters a conversation between post-Reformation perspectives and the Greek patristic tradition. E.g., Besides my work Christosis, few have picked up this task, though Richard Hays called for this very approach over a decade ago in his The Faith of Jesus Christ: The Narrative Substructure of Galatians 3:1–4:11, 2nd ed. (Grand Rapids: Eerdmans, 2002), xxxii. It’s a truism, arising primarily from the Pauline letters, in Protestant (biblical) theology that ‘justification’ happens in the past, and ‘sanctification’ happens in the present. That is, believers have been justified and they are being sanctified.